Activities for preschoolers to teens! These 4 easy recipes kids can make by themselves are great ideas to get kids started cooking. Are you looking for activities for your preschooler, toddler, grade schooler, or even teen? These delicious recipes are easy enough that even young kids can make them and good enough that teens will want to make them! Keep your kids busy this summer with some simple snack recipes. The best part? They taste great and are packed with nutrition! Oatmeal Peanut Butter Balls are a 5 ingredient recipe that takes just 5 minutes to make! Kids and adults love this delicious snack recipe. Grab the recipe for Oatmeal Peanut Butter Balls here. This 3 ingredient Fruit Dip goes great with watermelon, strawberries, melon, or your favorite fruit! It’s a great idea to get kids eating more fruit in their diet! Grab the Fruit Dip Recipe Here! Peanut Butter Fudge is made in a blender, then frozen. It has some surprising ingredients, but don’t let them scare you off. 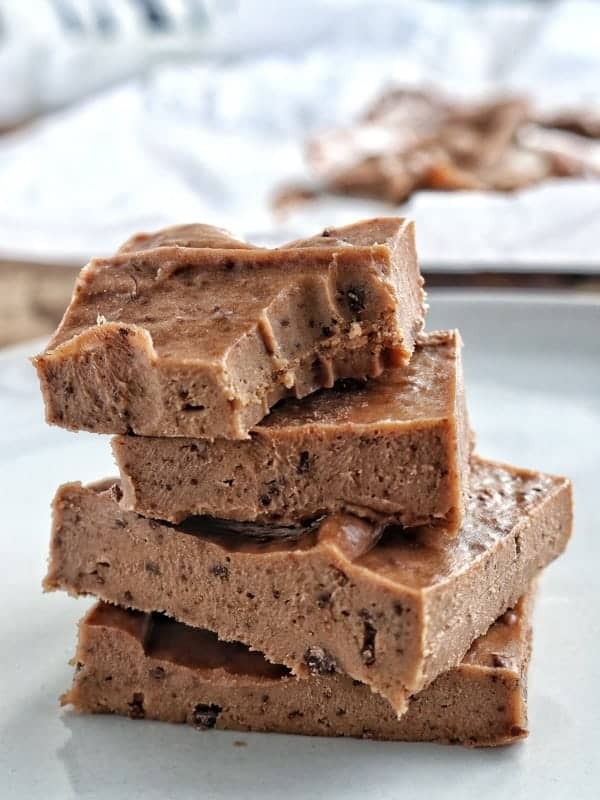 This fudge is a delicious snack or dessert for dinner this week! Grab the Peanut Butter Fudge Recipe Here! Yogurt parfaits are perfect for a snack or make a fantastic breakfast as well. Customize with your favorite fruit and toppings for a nutritious and delicious snack today. Grab the Yogurt Parfait Recipe Here! If you liked the knives used in the video, you can check them out here. Which recipe do you think your kids will want to make first? !